Jo has set our children a challenge; to learn a poem by heart! 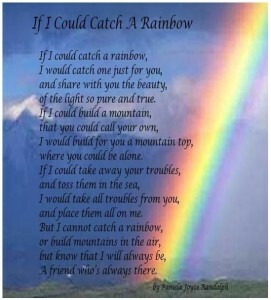 The poem is ‘If I Could Catch a Rainbow’ by Pamela Joyce Randolph. 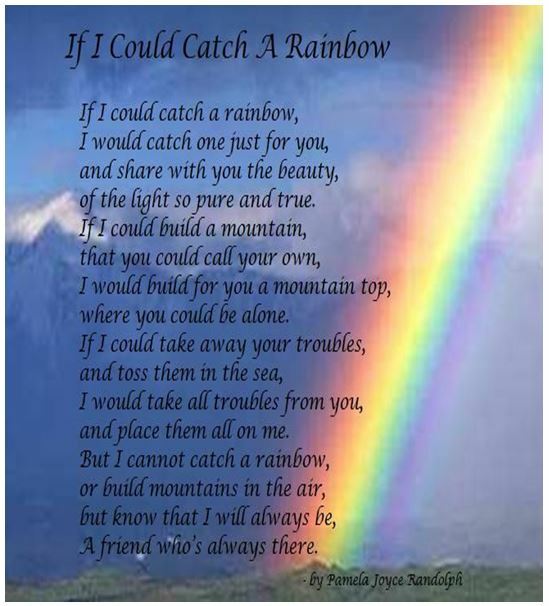 Please see the poem below and get reading!